On November 8, 2013, Super Typhoon Haiyan made landfall in the Philippines and affected 16 million people, killing thousands and displacing millions. Entire villages and cities were destroyed, but the rebuild effort began quickly thanks to a global response. The U.S. Agency for International Development (USAID) and the U.S. military were the first to deliver life-saving support, including the provision of emergency shelter, food assistance, relief commodities, and water and sanitation support. To date, the U.S. Government has provided over $90 million in aid. Seven months later, humanitarian efforts are ongoing. An estimated 5.6 million workers have seen their livelihoods affected and many of them still need assistance. Schools opened on June 2 but thousands of children returned to classrooms that have been destroyed or damaged. Millions of people still require shelter. Late last month, I had the opportunity to see the recovery efforts firsthand during a visit to the island of Leyte, home to Tacloban — the epicenter of the storm.. Tacloban City was completely obliterated, leaving only tents, makeshift “squatter” living conditions and other sorts of temporary housing all around, with signs of destruction in between. But massive clean up efforts had taken place over the last six months with piles of somewhat organized garbage and debris scatteredd everywhere. Organizations and work crews were still cleaning up while I was there, repairing houses that could be fixed, and building new homes from scratch. I heard many stories of hardship and resilience, but was particularly struck by that of Mang Danny — a driver from San Jose, Tacloban City. Mang Danny lost his wife and child to the disaster, and struggles to support his other children and rebuild the house he lost to the waves in Tacloban. 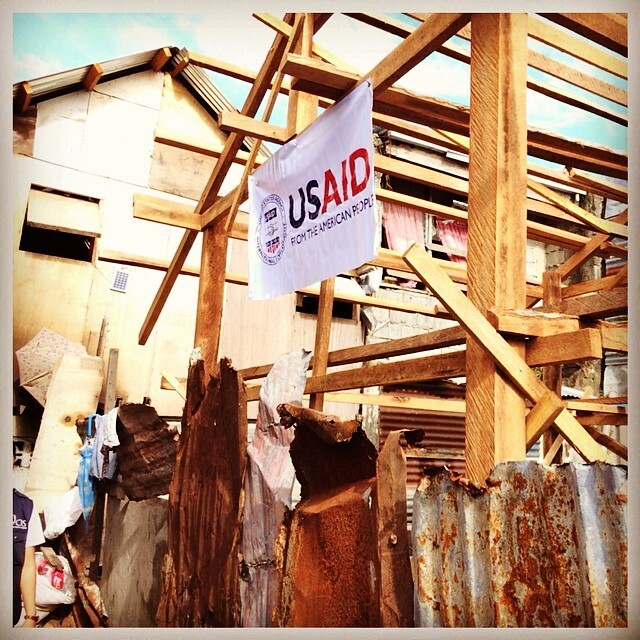 USAID is helping to rebuild houses for millions of survivors like Mang Danny. 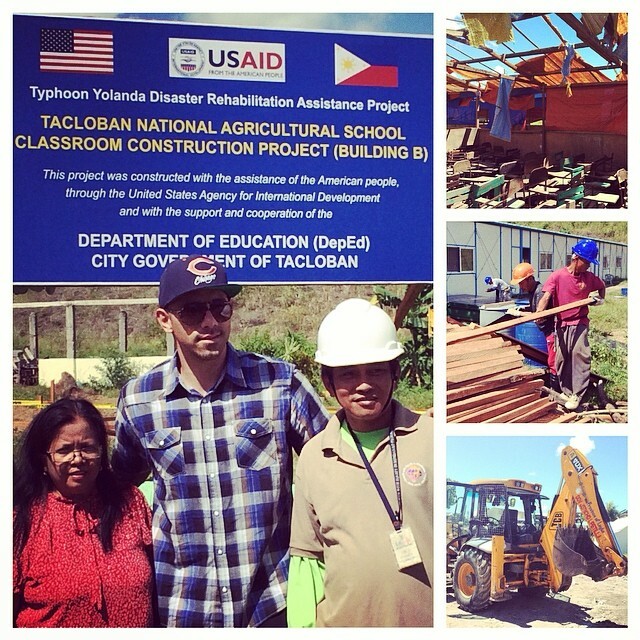 During my visit I was even able to help build houses myself in a village just south of Tacloban called Tanauan. 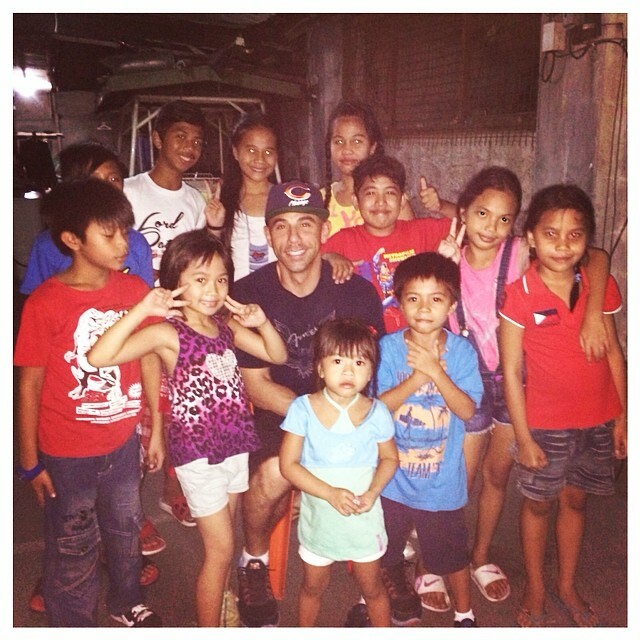 I worked with Gawad Kalinga, an organization that brings together volunteers to build homes in the Philippines. With the Philippine Red Cross, I visited Sition Gubat, where they have built 56 new houses. This little town is part of the overall target of 20,000 new houses for Leyte. Today, USAID is continuing to lead the charge to provide durable solutions to the recovery and reconstruction needs in the devastated areas of the Philippines. One of the ways is through encouraging public partnerships—several of which are already helping rebuild lives. One USAID partnership with Procter & Gamble and Coca-Cola helped rebuild sari-sari stores, or small community stores. USAID in the Philippines has also demonstrated successful partnerships with many private organizations including the American Chamber of Commerce of the Philippines, Philippine Development Foundation, Smart Communications and Petron Corporation. With each success there is an opportunity to further implement a working strategy and improve conditions. And on May 20, the White House Initiative on Asian Americans and Pacific Islanders — together with USAID — brought together foundations, organizations and corporations and the Filipino diaspora community to discuss how to create more partnerships for the Philippines’ recovery. Participants committed to partnerships on disaster mitigation and small business projects in the Philippines, and continuing such collaborations long term. The Philippines has made great progress since Haiyan. But the typhoon season will start again, and there are still thousands of people living in tents and residing in dangerous areas. There are tens of thousands of young children who will have to study inside tents and improvised classrooms. There are thousands of farmers and fishermen that have yet to restart their livelihoods, and thousands of workers who have yet to replace the assets they lost in the storm. Although there was much sorrow for the loss of the Filipinos hit by the typhoon, witnessing the complete destruction of homes and communities and getting to meet many survivors, I saw firsthand the strength and determination in the Philippines. The U.S. Government is working to ensure that months after the brutal devastation of Haiyan, Filipinos like Mang Danny have a chance to rebuild, start again, and move on.